The moon is within a second of covering the sun. 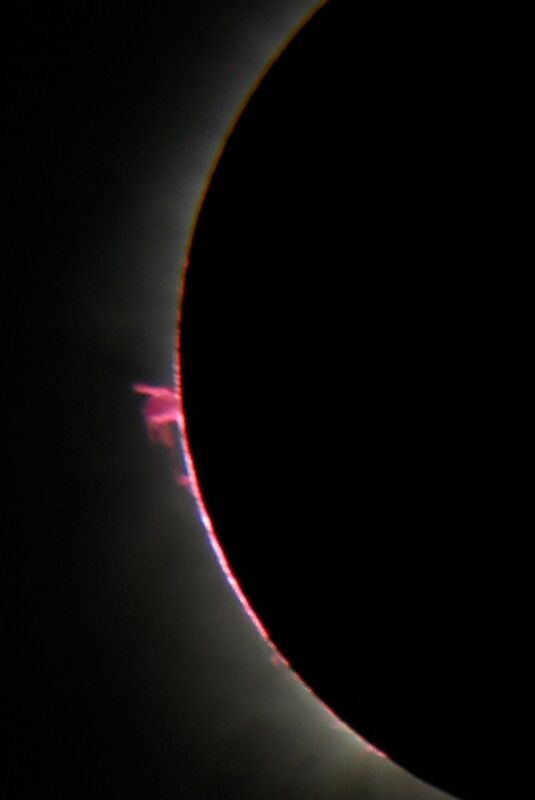 It reveals the rosy chromosphere and a large solar prominence. Date Uploaded: Oct. 30, 2016, 10:04 p.m.